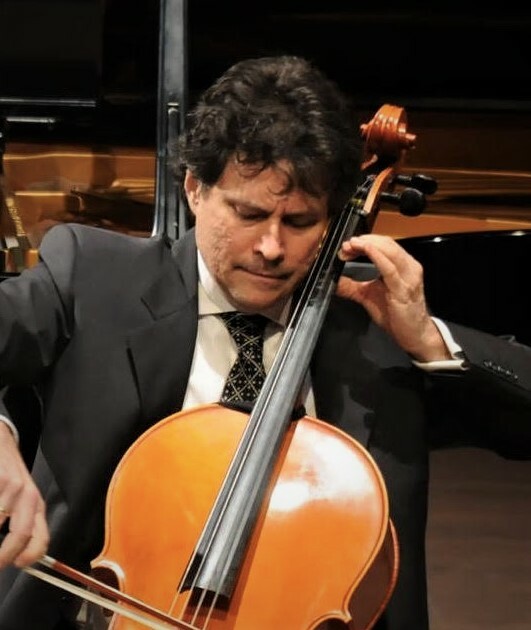 Italian cellist Pietro Bosna has performed with world top orchestras and in the most important concert halls. Pietro is a cellist with the prestigious "I Musici di Roma" ensemble with whom he performs as a soloist worldwide, including a recent world tour celebrating ensemble's 60th anniversary with performances in the United States, Australia, New Zealand, South Korea, China, Japan, Taiwan, Italy, Germany, Spain, Russia, Latvia, Bulgaria, Hungary, and Turkey, and concerts in the most prestigious venues to highest critical acclaim. Pietro has collaborated with the violinist Reiner Honeck, konzertmeister of the Wiener Philarmoniker and recorded some of the most important Classical and Romantic chamber music works. He was a cellist until the very last concert of the Trio Matisse, a famous Italian chamber ensemble that won the Vittorio Gui Prize in Florence. A member of the Ensemble Punto It, Pietro collaborates with many eminent musical personalities of the international scene. As a founder of the ensemble with vintage instruments "The Art of the Arc", he performed and recorded with some of the most important musicians in the field of "historically informed" interpretations including Gustav Leonardt and Christopher Hogwood. Pietro Bosna was also the first cello of the Italian Soloists, with whom he performed in major halls of Japan, including Tokyo Opera City Concert Hall, Tokyo Suntory Hall, Izumi Hall of Osaka, and Kitara Concert Hall of Sapporo as well as internationally from the Vienna Musikverein to the Wigmore Hall in London, the Colon Theater in Buenos Aires and the Concertgebouw in Amsterdam. Born in Bari, Pietro Bosna graduated in his native city with high honors under the guidance of Vito Paternoster and later with Amedeo Baldovino and Antonio Janigro and Mario Brunello. He further continued his studies in Bari, Florence and Siena (Accademia Chigiana) and won prizes at important international competitions including Parkhouse Award in London, International Chamber Music Competition in Paris, and Competition G. B. Viotti of Vercelli. In 1995 Pietro Bosna was invited among winners of international competition to 1995 Isaac Stern's 70th- anniversary celebration in New York at Carnegie Hall to play with string luminaries including Isaac Stern, cellist Janos Starker, violinists Henry Meyer of the La Salle, and Ida Kavafian of the Trio Beaux Arts. He has recorded as soloist both with modern and baroque instruments for Radio France, BBC, Deutsche Harmonia Mundi, Denon, Chandos, Dynamic, Bongiovanni, Stradivarius, as well as in chamber and ancient music ensembles for Radio Swisse Romande, Rai, Emi France , New Era, Tactus, Pavane, Astree. Some recent solo recordings for Naxos include concertos with the Orchestra dei Pomeriggi Musicali of Milan directed by English director Damian Iorio. Maestro Bosna is a professor at the Conservatory E. F. Dall'Abaco di Verona, and plays Lorenzo Storioni violoncello (Cremona 1791).